Why did you want to take on such an incredible feat? My aunt, Susan Scarlett, who is 65, was diagnosed with Parkinson’s disease in 2015. At the time that I found out, I was competing in a 400-mile cycle race. That race was going to take 30 hours, so I had lot of time to process and think about how I could help her. As everyone in the family researched the condition we learned that regular exercise is a great way of managing symptoms and can even slow the progression of the disease. As we’re all very confident in the water we decided to do a charity swim – ‘VictorySwim105’ – in partnership with the Davis Phinney Foundation. 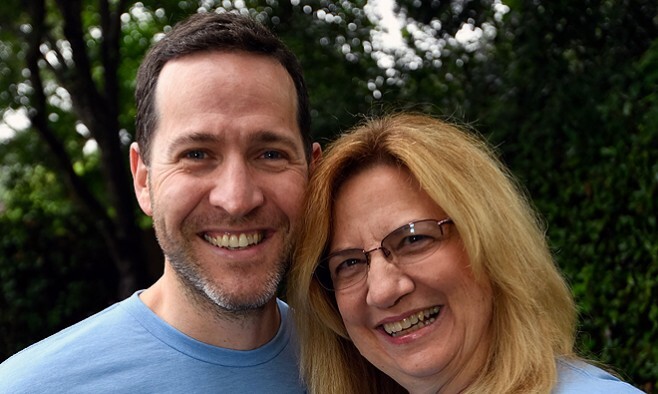 How has your Aunt’s Parkinson’s diagnosis affected you and your wider family? Susan sees the positive in everything! The bigger impact of her diagnosis is that it’s been an opportunity and an outlet for everyone in our family to really live that positive outlook. Susan started to swim to keep her Parkinson’s symptoms at bay – we rallied around her and thought we’d be able to make a bigger impact if lots of us were involved in the charity event. 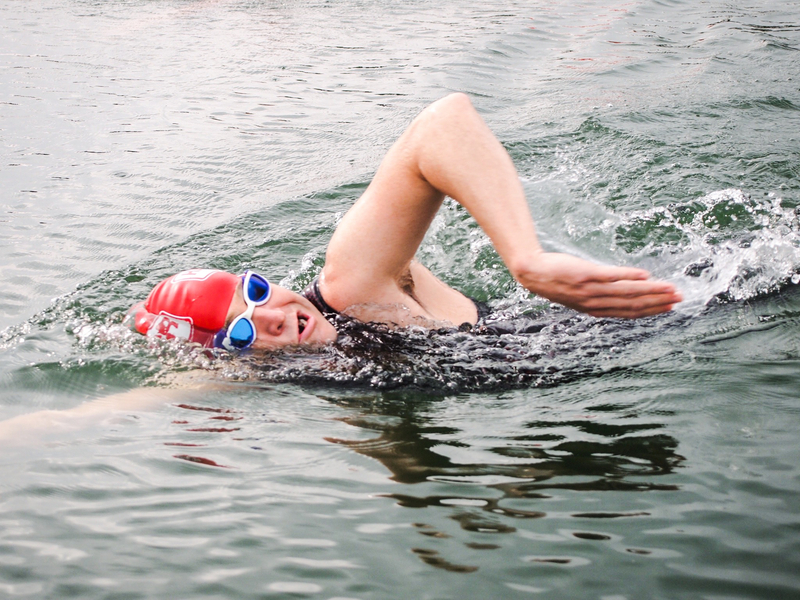 Your physical training included weekly open water training swims of up to six hours each. What did your mental training and preparation involve? Susan lives in Austin, Texas, and my wife and I went out there during the spring to begin my intense open water training – at that time the water in Michigan was still too cold. I went to the Austin Biofeedback and Neurofeedback Center and trained with Lynda Kirk, the centre’s founder. Lynda and I worked on mental and physical training together. She hooked me up to all kinds of electrodes, mapped my brain and saw where there were opportunities within the neuro-function of my brain to position myself for peak performance. What we discovered in the brain mapping was that I am a very analytical, pragmatic thinker who uses a lot of my brain time in beta waves. These cause your consciousness to ‘be in the moment’. If you’re going to be swimming for 40-plus hours you need to develop more alpha waves. Alpha waves are needed to get into the ‘zone’, your body is present but you almost have a loss of awareness of time. When I learnt how to conserve brain energy during the training swims, it felt like I was swimming for just 15 or 20 minutes, when in reality it was up to three hours. I started to write down inspirational quotes such as: “There’s no reason that you can’t feel good for the swim. The goal is to feel good.” It’s the sort of positive outlook that learnt from my aunt. What kept you motivated during the swim? And what was going through your mind at the final stages? During the swim I ate liquid food from a bottle every 20-30 minutes that was passed to me from the support boat. By the second day I craving salty, solid food and the cook on board rustled up pizza, and egg and cheese sandwiches for me. When I got really cold, I had things I would tell myself that allowed me to reframe the cold into new, more positive, purposeful thoughts. I only had to think about Susan to be inspired. I missed out on sleep for one whole night, swimming through to set the record instead. This meant I was creating a build-up of the chemical adenosine. In normal conditions, it promotes sleep but when awake the levels of adenosine in the brain rise each hour and eventually cause hallucinations. During the last five or six hours of the swim I started hallucinating. I saw a flock of pink pigs and lots of kitchen appliances in the water with me that I thought I had to swim around! I wasn’t able to use my left shoulder during the last 10 hours at it seized up on me – this meant I had to swim the final leg using just my right arm! After all these issues, I was really ready to feel the sand of the shore beneath my feet. Was your aunt involved in the swim at all? There were two kayaks paddling beside me for the whole time, as well as the support boat where my team were based. Susan and my wife, Amelia – whose role was ‘crew chief’ for the duration of the swim – were on-board those vessels for the duration of the swim. Susan swam along side me for around 30 minutes on the first day. Initially, I thought that Amelia would cross the line with the crew team in the water but she jumped on a whim and swam the last 30 metres to the shore with me, giving me the extra boost that I needed to get over the finishing line! I had to go the hospital as soon as I’d completed the 105km-swim. My pulse and blood pressure were very low, but I wasn’t as dehydrated as they expected. My wetsuit was creating some compression, so when they took it off, all the blood pooled in my legs and I passed out for three to four minutes. But this wasn’t of any real concern to anyone. Your team included a navigator, videographer, sponsors and paramedics. How important was it to have a support team around you? The crew consisted of a team of 15 and included four witnesses from Guinness World Records. I wouldn’t be able to do, what I do, without the crew behind me. And I specifically want to thank my wife, Amelia. When did you decide to try and set the Guinness world record? Well, it was while we were going through the process of organising the swim. 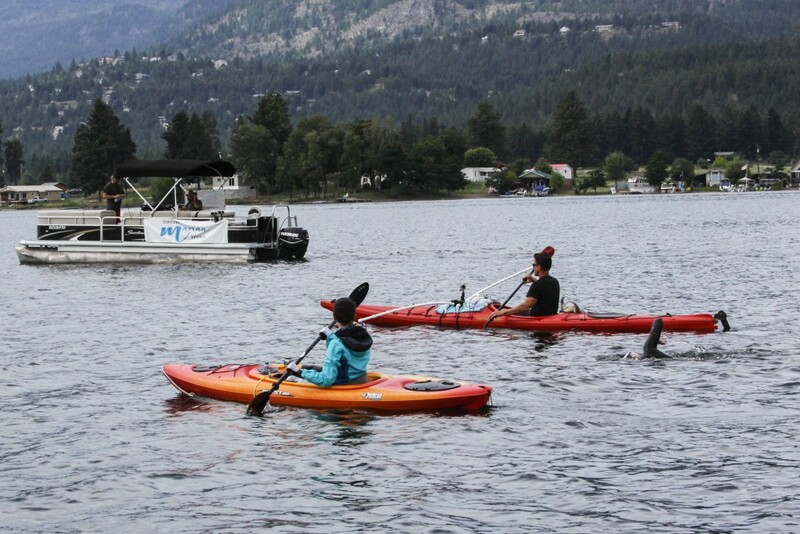 We found out that no one had ever swum north to south from Vernon to Penticon before. Now this particular record exists on the official Guinness World Record site and will hopefully encourage others to take up the challenge. What does it feel like to be a Guinness world record holder? I mean I thought I could do it, but it’s great that I’ve now proven it. I’m most happy for the crew – getting this record is really validation and vindication for them! It’s great that we have this record in honour of the Davis Phinney Foundation. They feel strongly that people with Parkinson’s need action-orientated goals and ideas to help them live well today. Those are the values that Susan was interested in when we were choosing a suitable partnership. What are your hopes for all of the money that you’ve raised for the Davis Phinney Foundation? To share the idea that exercise will have a positive impact on the disease. We are approaching the $20,000 mark and we’re really glad that the money we’ve raised will help people with Parkinson’s, carers and their families cope better on a day-to-day basis. What did the Guinness World Record verification process involve? 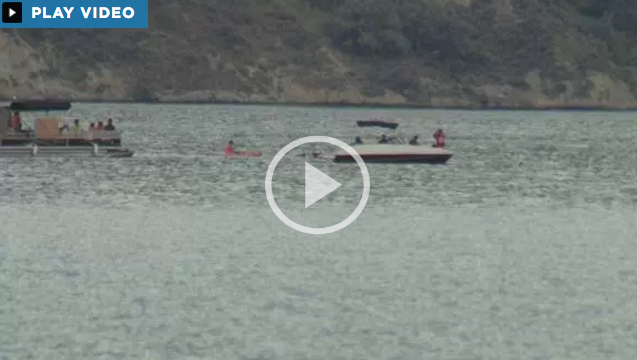 There was an official videographer on the boat with six cameras recording different angles and four adjudicators. I wore a GPS watch that tracked each metre that I swam and we had to supply the Guinness Wold Records people with a 200-page document to support our case. It took about a month for them to verify the evidence. 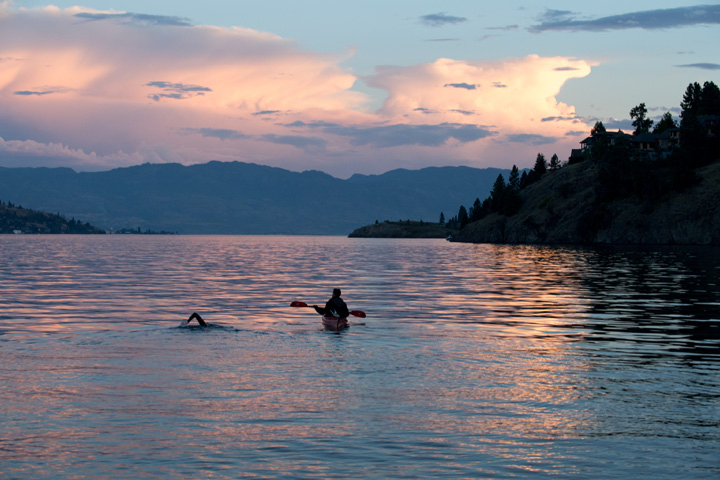 The fastest time to continuously swim the entire length of Okanagan Lake is 40:57:11 hours and was achieved by Adam Ellenstein (USA), who covered a distance of 106.6 km (66.24 miles) wearing a wetsuit and swimming north to south between 25–26 July 2016. What did your aunt make of it all? What has been really profound for Susan is the positive impact of regular exercise and how it makes her feel on a day-to-day basis. She is still reviewing all the options – exercise, nutrition, sleeping schedule et cetera – that will keep the condition in its early stages. Do you have any advice for other people seeking to raise money for Parkinson’s causes? When you’re doing what feels good and it’s driven by the right kind of motivation, the outcome is going to be a good one. It’s good to have compassion and that you should pick a cause that aligns with your own passions. 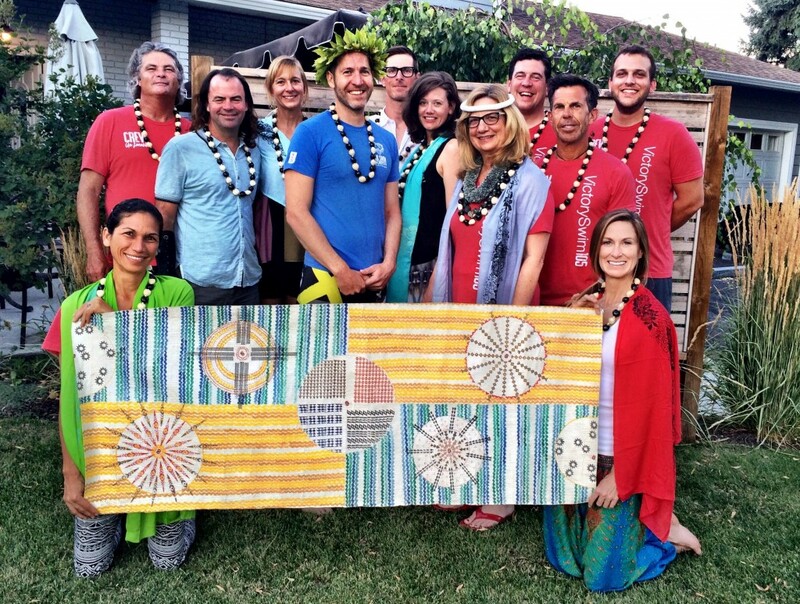 Any plans for future fundraising events? We are taking a bit of a break and going on holiday! But just to let you know, we’re never saying ‘never again’!